Prof. Jaimie W. Lien is an Assistant Professor of Business Economics in the Department of Decision Sciences and Managerial Economics, The Chinese University of Hong Kong. Her main research interests are in behavioural and experimental economics, including decisions under uncertainty, social cooperation and competition mechanisms, and consumer finance among other topics. Her research methods include statistical field data analysis, laboratory experiments and collaborations on applied theoretical modeling. Prof. Lien’s research has been published in Nature Communications, Proceedings of the National Academy of Sciences, Games and Economic Behavior, Journal of Economic Behavior and Organization, Experimental Economics, and American Economic Review Papers and Proceedings, among other academic journals. 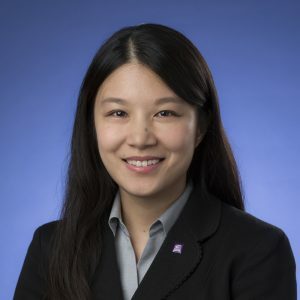 She was a co-founder of the Economic Science and Policy Experimental Laboratory at Tsinghua University, where she was previously an Assistant Professor from 2010 to 2015. She received her PhD in Economics in 2010 from University of California, San Diego where she also obtained an MA in Economics. Her undergraduate degree is in Economics and Mathematics from Wellesley College, after which she worked as an Associate Economist in the research department of the Federal Reserve Bank of Chicago. In 2018 she visited the European University Institute, Department of Economics as a Fernand Braudel Senior Fellow. She has been Principal Investigator on several research grants, including those awarded by the Hong Kong Research Grants Council and National Natural Science Foundation of China. Zeng Lian, Jaimie W. Lien, Lin Lu and Jie Zheng, “International Trade with Social Comparisons,” Review of International Economics, conditionally accepted. Weixing Ford, Jaimie W. Lien, Vladimir V. Mazalov and Jie Zheng, “Riding to Wall Street: Determinants of Commute Time using Citibike,” International Journal of Logistics, forthcoming. Zhenhua Feng, Jaimie W. Lien, and Jie Zheng, “Flexible or Mandatory Retirement? Welfare Implications of Retirement Policies for a Population with Heterogeneous Health Conditions,” International Review of Economics and Finance, forthcoming. Chun-lei Yang, Boyu Zhang, Gary Charness, Cong Li, and Jaimie W. Lien (2018), “Endogenous Rewards Promote Cooperation”, Proceedings of the National Academy of Sciences, 115(40), p.9968-9973. Zhenhua Feng, Jaimie W. Lien, and Jie Zheng (2018), “Keeping up with the Neighbors: Social Interaction in a Production Economy,” Mathematics, 6(9), 162. Vladimir V. Mazalov, Yulia V. Chirkova, Jie Zheng, and Jaimie W. Lien (2018), “Competition between Virtual Operators in a Two-sided Telecommunication Market,” Automation and Remote Control, 79(4), 737-756. Jaimie W. Lien and Jie Zheng (2018), “Are Work Intensity and Healthy Eating Substitutes? Field Evidence on Food Choices under Varying Workloads,” Journal of Economic Behavior and Organization, 145, 370-401. Jaimie W. Lien, Jie Zheng, and Xiaohan Zhong (2017), “Ex-Ante Fairness in the Boston and Serial Dictatorship Mechanisms under Pre-exam and Post-exam Preference Submission,” Games and Economic Behavior, Special Issue in Honor of John O. Ledyard, 101, 98-120. Jaimie W. Lien, Vladimir V. Mazalov, Anna V. Melnik, and Jie Zheng (2016), “Wardrop Equilibrium for Networks with the BPR Latency Function,” Lecture Notes in Computer Science, 9869, pp. 37-49. Jaimie W. Lien, Wang Wei and Jie Zheng (2016), “A Model of Capital Allocation, Education and Job Choice in China,” The Chinese Economy, Special Issue: Some Challenges to Economic Growth and Stability in China, 29(5), 307-326. Zhijian Wang, Yanran Zhou, Jaimie W. Lien, Jie Zheng, and Bin Xu (2016), “Extortion Can Outperform Generosity in the Iterated Prisoners’ Dilemma,” Nature Communications, 7(11125). Jaimie W. Lien, Jie Zheng, and Xiaohan Zhong (2016), “Preference Submission Timing in School Choice Matching: Testing Fairness and Efficiency in the Laboratory,” Experimental Economics, 19, 116-150. Jaimie W. Lien and Jia Yuan (2015), “Selling to Biased Believers: Strategies of Online Lottery Ticket Vendors,” Economic Inquiry, 53, 1506-1521. Jaimie W. Lien and Jie Zheng (2015), “Deciding When to Quit: Reference-dependence over Slot Machine Outcomes,” American Economic Review: Papers and Proceedings, 105, 366-370. Jaimie W. Lien and Jia Yuan (2015), “The Cross-sectional ‘Gambler’s Fallacy’: Set Representativeness in Lottery Number Choices,” Journal of Economic Behavior and Organization, 109, 163-172. David Eil and Jaimie W. Lien (2014), “Staying Ahead and Getting Even: Risk Attitudes of Experienced Poker Players,” Games and Economic Behaviour, 87, 50-69.